Here’s how the supply chain management can benefit from the wonders of blockchain. Do you ever think where the smartphones you use, clothes you wear, or the other things come from? Besides the shops and showrooms that you visit to purchase these things, there is a long chain of interconnected elements that bring these things to you. This chain is known as the supply chain. These chains span over numerous links, right from the place of origin to all the way to place of distribution. On the basis of product, a supply chain can involve hundreds of stages, geographical locations, invoices and payments, as well as individuals and entities. And the management of these supply chains is extremely complex. The supply chain management covers planning, implementation of several processes, as well as the flow of materials, information and financial capital. The problem with the current supply chain is that it’s broken at several stages and there is a lack of transparency in the system. Customers and buyers find it difficult to investigate supply chains and find if there are any illegal or unethical practices. Sometimes, they even fail to connect the dots to find where and how a product is running or when it will reach the destination. Nowadays, the supply chains are more than conventional networks of suppliers and original equipment manufacturers (OEMs). These have gone beyond to become broad ecosystems, where several variants of a product move through different parties. All these parties try to coordinate and work together. 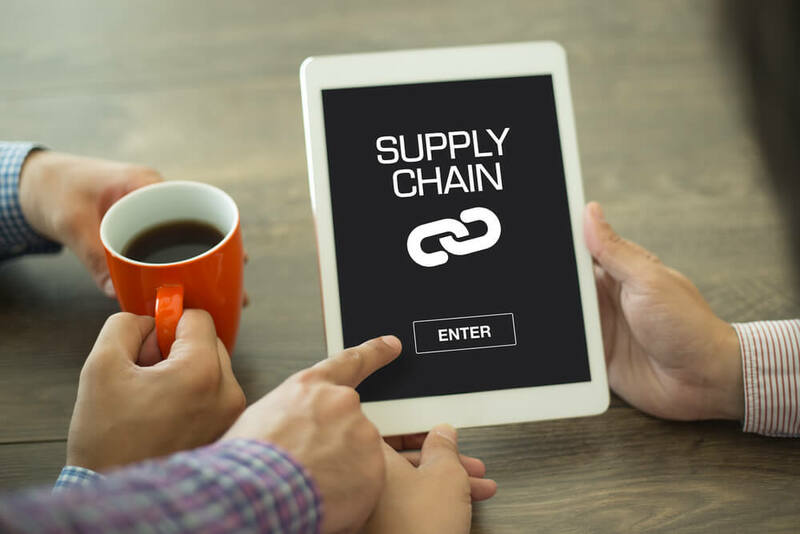 Supply chains have transformed but the companies are still stuck with traditional models and using the outdated technology in supply chain management. Blockchain can help them reshape the approach at the ecosystem level and provide global insights. As the name suggests, the blockchain contains a ‘chain’ of ‘blocks’, where the blocks consist of information and are chained together. It is a secure, digital and distributed ledger in which the participants share the information. The blockchain is the hottest technology today as it allows absolute transactions of information and money, exchange of agreements and contracts, tracking, etc. This technology is highly transparent because all the transaction in the chain is recorded on blocks. All the participants in a blockchain get a copy of all the transactions. Since it doesn’t have any central entity, nobody can corrupt or steal the information. Moreover, nobody can manipulate or delete the information. Marc Andreesen, the co-founder of a Silicon Valley’s venture, defines blockchain as the most significant invention since the internet. Quintessence magazine describes that blockchain as an important and influential invention as the steam engine. It has the power to evolve the world of finance, supply chain and beyond. According to a report by Market Reports Center, the global blockchain market will reach $60.7 billion by 2024, from just $708 million in 2017. How can blockchain solve the broken link of supply chain management? As blockchain is a highly transparent and efficient technology, it can positively impact the supply chain and its management, from point of origin to the place of distribution. Blockchain covers all the essential aspects of the supply chain that are needed for reliability, trust, and integrity. With blockchain implementation, no participant will have a clash in the supply chain as everyone will have the same copy of every transaction. Without having a central entity, the businesses, partners and suppliers can handle all the complicated consultations that come along when any information or asset is handed over for supply. All the data and transactions are synchronized across the network. All the participants in the blockchain confirm the work and tasks of others. This enables a high amount of cross-checking and redundancy, and this is also the reason why cryptocurrencies like Bitcoin and Ethereum are so secure and reliable. The use cases of blockchain in supply chain management are really convincing. The core logic of blockchain here is that when an asset is moved from one place to another, the transaction status will get updated for all the participants in the system in no time. Everyone can also trace the chain, find the current location of the asset, who is currently owning that asset, and more such things. There are several benefits of blockchain in the supply chain. It saves time, money and efforts on various ends. On an average, a U.S. Fortune 100 company gets paid after over 60 days of completing a task or delivering an asset. This is because there is an analog gap that separates the companies in a network. What it means is that, following the completion of work, they generate invoices and email them to customers. Further, the customers enter the values manually and then decide how and when to process the payment. By applying blockchain, all the manual tasks can be eliminated and companies can get paid within a day of delivering the product. When the entities can track a product in real-time, it reduces the overall costs of shifting assets in a supply chain. Blockchain accelerates the administrative processes in supply chains and decreases the number of people who are devoted to auditing the orders. This eventually reduces the additional costs in the system. The removal of middlemen and central entities in the supply chain eliminates the risks of frauds and manipulations of products, which helps in saving money. Big tech companies like Microsoft and IBM are working on the development of blockchain, especially to implement the technology in the supply chain. Earlier this year, IBM had joined hands with Maersk to set up a blockchain-based joint venture that can accelerate the trade and secure it. The companies said that blockchain can reduce barriers within the international supply chain, improve the economies and create more jobs. Other than these large players, companies like Eximchain, Provenance, Skuchain, Linfinity and Everledger are also creating custom supply chains for their customers. Blockchain has the potential to transform every industry, including the supply chain. In fact, this technology can prove to be the most useful in the supply chain industry. Hence, it will grow at a rapid pace in the coming years, fix the broken link in supply chain logistics and reap bigger benefits.